A Nepali Hamlet comes alive in Southbank this May and you would not want to miss it. The 400th anniversary of Shakespeare's death also marks 200 years of diplomatic relations between Nepal and Britain. 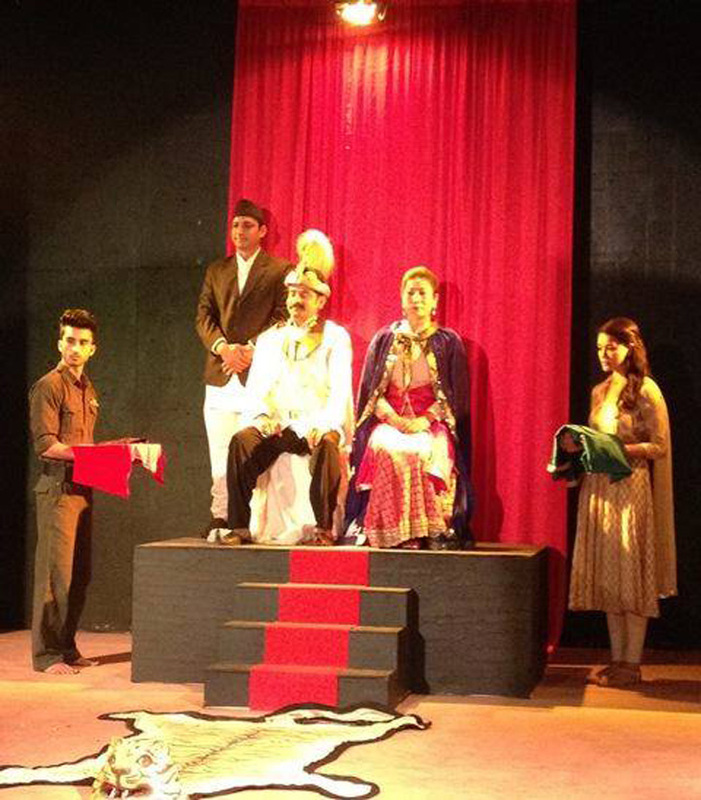 The artists of the two countries are commemorating this occasion by staging Hamlet in Nepali. It seems only apt that the nascent but vibrant theatre scene of Nepal is being paired up with a Shakespearean narrative adapted to a contemporary crisis of nationalism. Shakespeare's Roman and also history plays - Richard III, Henry V and VII to name only few - are about British nationalism under monarchy. Hamlet, on the other hand, is clearly a tale of internal dilemma of a person juxtaposed against the growing fissures within a royal court. 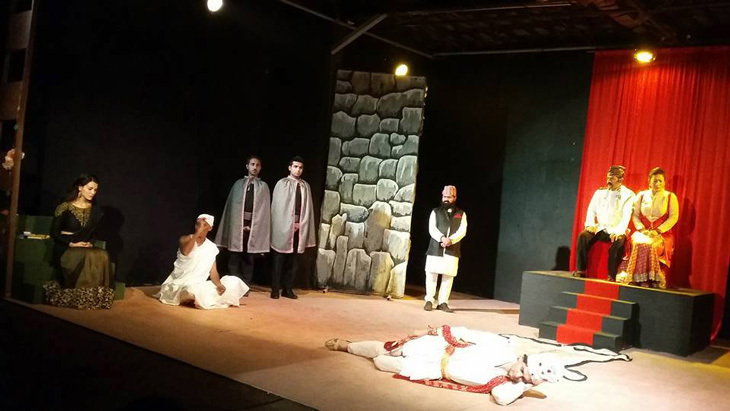 In this Nepali adaptation, achieved through a directorial pairing of Bimal Subedi and Gregory Thompson, the play speaks directly to the night of Royal Massacre which ended the line of descent for Nepali monarchy and paved a winded path for enthroning a certain uncle whose intentions were questioned by many. "Nepali audience can strongly relate with the royal massacre," says Nepali director Bimal Subedi. "We have culturally and politically adapted the play to the context of this particular moment in history. The main protagonist is executed differently than the conventional one." Not quite the European princely soul torn with self-doubt, the Nepali Hamlet is also not the operetta hero and a firebrand revolutionary as has been depicted in various Middle Eastern adaptations during the Arab Spring. This Hamlet wears white, the Nepali colour of mourning, and has a shaven head, a ritual so many young Nepali men voluntarily took during the national mourning for the royal family. Fifteen years after the royal massacre and well into a decade of republican rule, one wonders whether those young men were expressing loyalty to the kings they lost or marking a pre-emptive protest against the imminent crowning of the distrusted uncle as the new king. Perhaps both, maybe none. The dilemma ensues as the ghosts of the past continue to haunt the present. The Hamletian dilemma renewed itself when the devastating earthquake hit Kathmandu last year. The unfortunate blockading of the Nepal-India border that followed only added salt to injury. Noted writer and theorist Abhi Subedi wrote, ".. to buy petrol in black or not, that is the question..... to see the victims of earthquake with no shelter, with medicines embargoed, with cold and hunger..."
Indeed, a play written earlier by Abhi Subedi and directed by Bimal Subedi had staged legendary political leader BP Koirala's life and work, exploring the tensions between the fictive and real characters who shaped his vision for a modern Nepali nation. 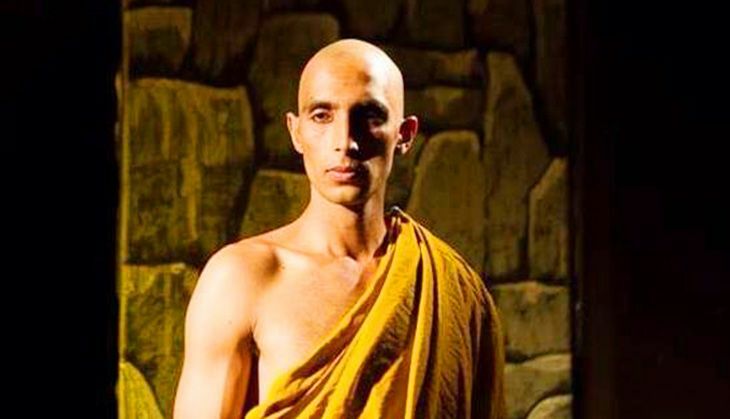 Bimal's experimental fusing of light, sound and projection constructed a theatrical symbolism on stage on which the heteroglossia of Nepali nationalism could be narrated and enacted. Bimal's next project "A Different Cultivation of Maize" wrestled a new beast in defining a (post)modern nation: To what extent can political correctness stifle creative freedom for independent writers in the name of democracy? This particular adaptation is an abridged version that runs only for an hour and half, as opposed to the original double. Its British director edited the original text and a Nepal translation was prepared. "Then came the crucial work of conceptualizing a Nepali context and then cast actors to suit the spirit of adaptation," recounts Subedi. A theatre can come alive only with its audience. The Nepali Hamlet was first staged in the ancient amphitheatre of Bhaktapur Durbar Square situated on the southern edge of Kathmandu Valley. The response was overwhelming with a packed audience of about 4,000 - possibly the largest Nepali theatre ever saw. The audience responded spontaneously to several situations and dialogues. Subedi says, "we Nepalised the names of the characters and places in addition to the central context of the drama. 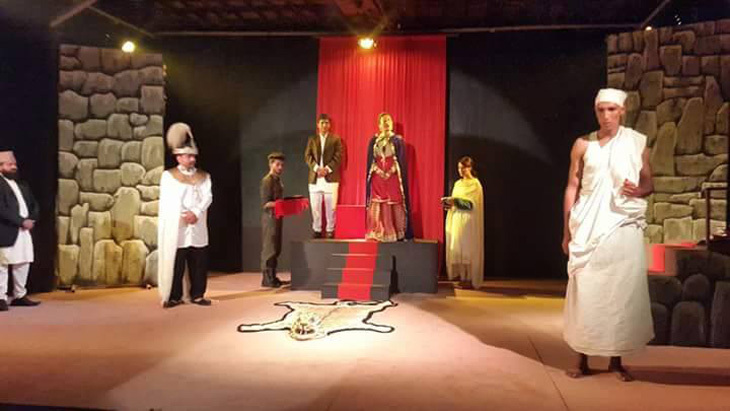 For example, Ophelia was a young Ojaswi, Polinius - Pratap Jung, Horatio - Hirosing, Claudius - Kamal Jung, etc..."
The play is currently being performed again at the Theatre Village in Kathmandu and will be staged on 27 and 28 May in the Southbank Centre in London. 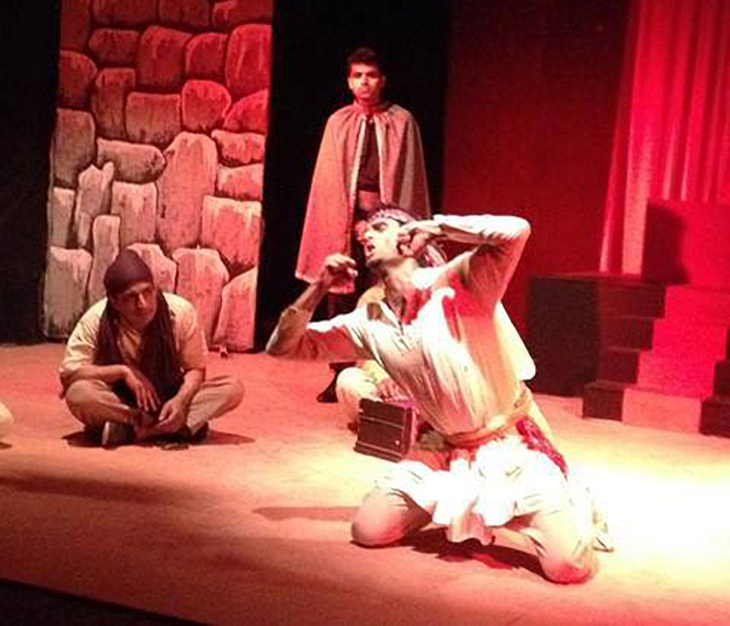 What kind of response can be expected from a British audience for a Nepali Shakespeare? Will the adaptation be relevant? Will its style be understood? "I hope they will like the edited version which is very crisp. Also because this is adapted to Nepal, Hamlet is slightly different than the conventional British one." Here goes the hope that international collaborations such as these may help broaden the creative horizons of performance and consumption but also diversify the theatre audience in the UK which continues to be primarily white, middle age and middle class. Mallika Shakya and Sanjeev Uprety are collaborative partners on a South Asian University research project "the Poetic Imagining of South Asia".